Beautiful clock fabricated by the British Brookpace Lacelles. 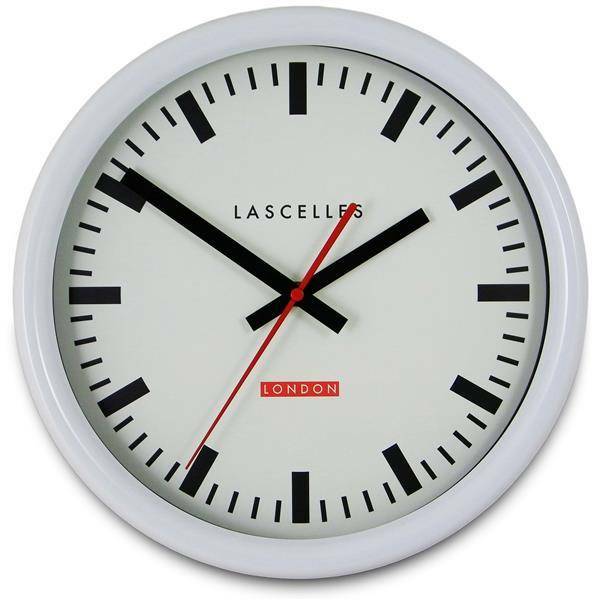 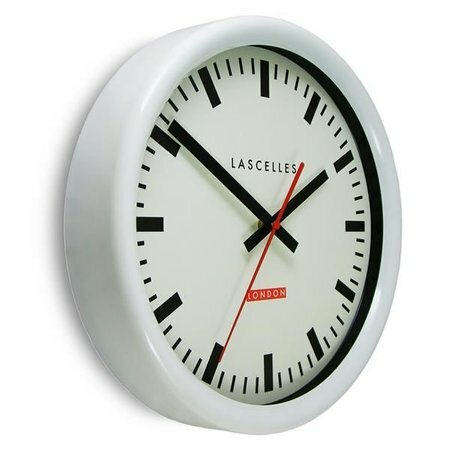 This Swiss inspired clock in white has red baton hands and a sweep (continuous movement) second hand for a distinctive look. 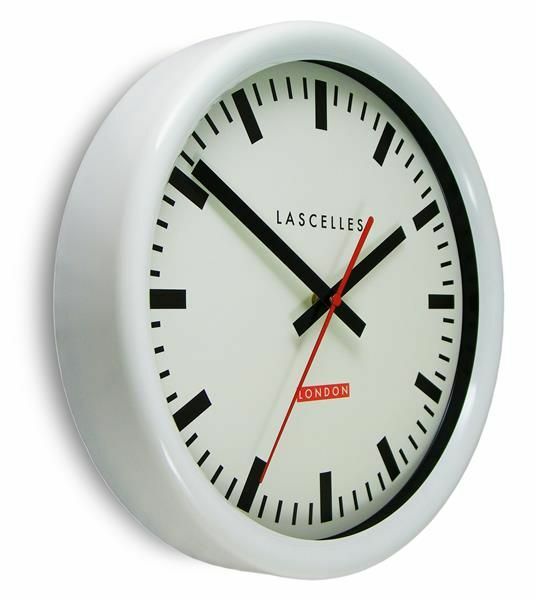 The movement is virtually silent, making it perfect for reading rooms, bedrooms and music rooms.